If something in your work’s not working for you, listen up. It may have nothing to do with your work. Yes, your actual day-to-day work—the stuff you get done using your superpowers, strengths and skills—might be the perfect work for you. You may be in a great company and work with great people. In fact, I hope you do! But if something’s not quite right for you at work—and you’re having trouble putting your finger on it— it’s a good bet there’s something missing on your way to job success. In my course “Should You Stay or Go? Make the Best Career Decision,” I teach a process to help you get clear about what you really want, so you can use that as a guide going forward. In other words, I help you put the pieces together. 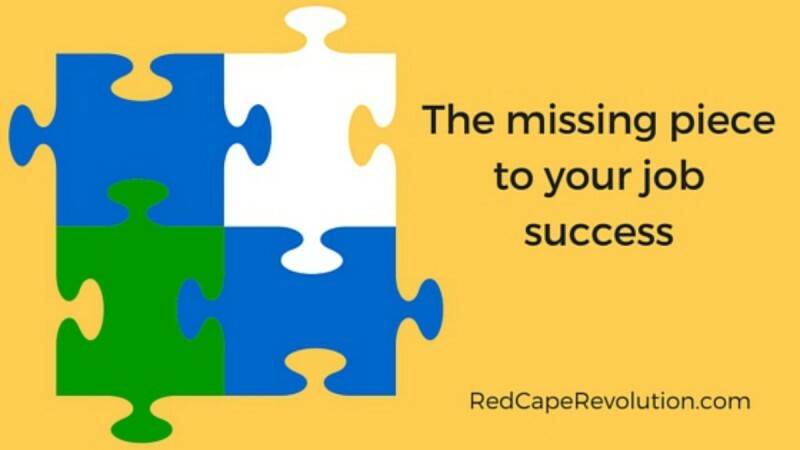 And the one piece that always surprises and shocks people is to find that the missing piece is all about their work environment. We rarely get really career clear on the elements that define the environment we want to work in. We spend time setting our goals, understanding our skills, and learning how to improve our visibility and impact, but we don’t often stop and think about all of the elements that contribute to our happiness and productivity at work. Environment is one of the most under-appreciated and misunderstood element of them all. The great thing about focusing on your environment is that once you’re clear about the environment you need, you can start making changes right where you are. Here’s a brief lesson from my “Should You Stay or Go?” course that shares more. Many of our students are surprised to learn ways they can make the decision to stay right where they are by making small changes to their existing environment or work habits. To get on the advance list for the next time the doors open for registration, email my team here.